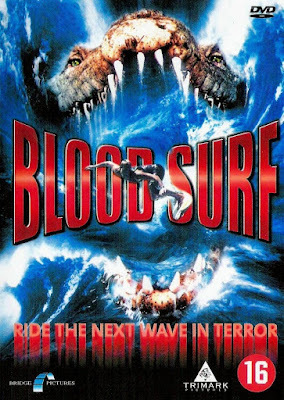 BLOOD SURF deals with a documentary film crew that finds themselves at the mercy of a 30ft saltwater crocodile when attempting to film a remote island. Duncan Regehr (MONSTER SQUAD) headlines as the Captain Quint styled hunter out for revenge. This rubber creature feature mess is available for streaming on Netflix, VUDU, and Amazon Instant Video, but as always, you're better off leaving the croc hunting to us and finding something else to swim in the cinematic waters with. Our special guest this time out is James D.R. 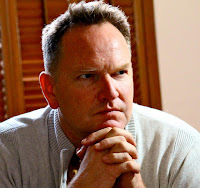 Hickox, the director of BLOOD SURF. Hickox's past credits also include CHILDREN OF THE CORN III: URBAN HARVEST, SABERTOOTH, and DETENTION.